Get the most out of exchange servers while sharing server maintenance costs. With mailboxes from various clients stored on a central exchange server, hosted exchange comes across as a cost effective email access solution. Stay connected to your clients with easy mail access on all devices. Complete Cloud provides you with huge mailbox capacity, advanced back up and bank level encryption all at the most competitive prices and with no minimum contract period. Our hosted exchange solutions are easy to set up. We provide clients with an intuitive and simple to use control panel and you need not be a technical expert to use our exchange solutions. At Complete Cloud we provide our clients with huge mailbox capacity so that you need not keep deleting emails to create space for your incoming mails. Looking for an exchange solution that allows you to send big files? 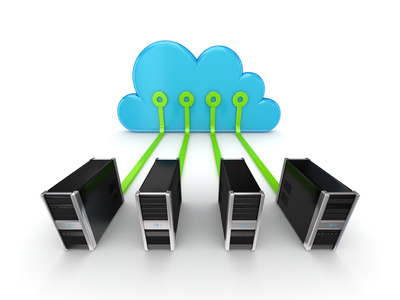 Get 50 MB of file attachment with any of Complete Cloud’s hosted exchange solutions. Our hosted exchange solutions provide with the flexibility of anytime anywhere email access. Access your emails from any location using your preferred device whether your laptop, desktop or smartphone. Get Free Push and Active Sync for your Androids, iPhones and Windows mobile devices. With all your business data on the cloud, you can now access and manage your contacts, calendars and tasks easily anywhere using any device. At Complete Cloud, all your emails go through not one or two, but three levels of SPAM and virus scans. We work hard to make sure that no SPAM and only legible emails reach the inbox. Complete Cloud provides customers with unmatched round the clock support. Our friendly, technical experts are available 24*7 over phone, email and chat to resolve any issues with your hosted exchange accounts. Our clients love our services and at Complete Cloud, we have no mandatory long term contract periods for our hosted exchange services. You can opt for our pay as you go services and if you are not satisfied, you can opt out anytime.